4 exercises to revise the active & passive voice: rephrasing, correcting mistakes & choosing the correct form of the verb. Hope it's useful! This downloadable teaching material was created for elementary school students at Intermediate (B1), Upper-intermediate (B2) and Advanced (C1) level. 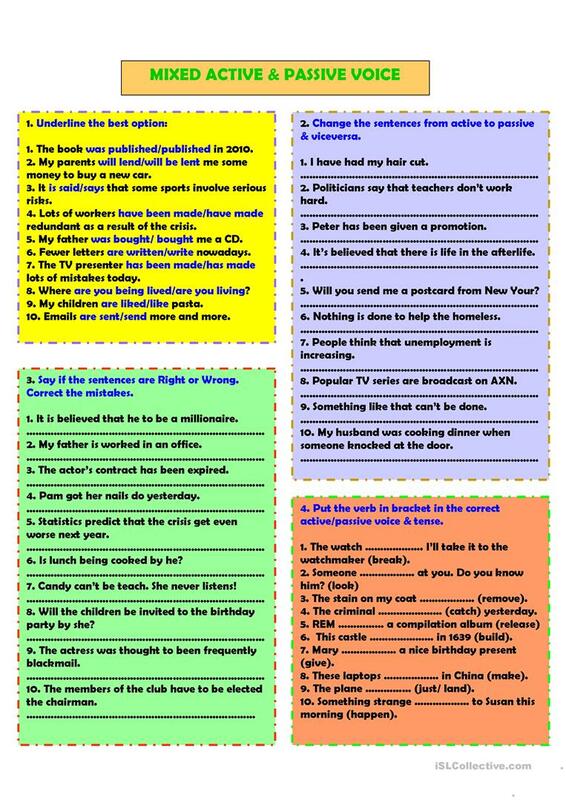 It is a useful material for practising Passive voice or active voice in English.